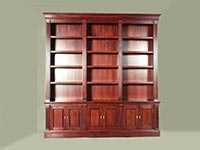 Bookshelves fill our homes with the treasures that we've collected over a lifetime. 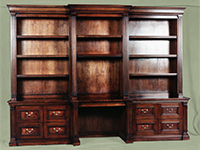 Custom Library Cabinets and Bookcases add charm, warmth and character to any room, and instantly make all feel welcomed. 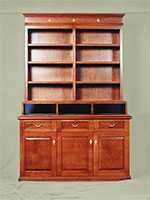 We take care with every aspect of our custom cabinet work, using fine furniture detailing, custom moldings and rare woods with finishes that will complement your home.